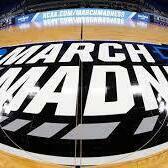 LET THE MADNESS BEGIN!!!! It's bracket time all over the country and most of them will be in the dumpster by the end of day one. On tonight's show we released the Funk'N Fantasy "Greatest HBO Character" field of 64 and break it down one by one. Also, Luigi gave you his pick for who will be cutting down the nets this year in the actual 2019 NCAA Tournament. Mike Trout is officially rich as hell so we talked about that and who may be the next player to reach that kind of money. Is there one worth it? Is anyone worth it? Someone tried to smuggle in a lot of cocaine to Philadelphia and it didn't go well. Bill And Ted 3 has been green lit and will start filming soon! What other franchise would you like to see one more movie out of? All that, plus your calls and concerns on tonight's Funk'N Fantasy Live.